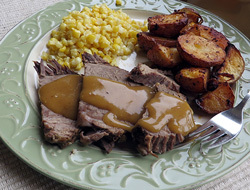 A great recipe to let cook all day while you are at work, school or play; and then come home to a nice hot mouth-watering meal of tender roast beef. If you are lucky enough to have your own fresh frozen sweet corn, whether it is from this recipe or your own favorite recipe, it will go great with the roast and potatoes. If not, go ahead and substitute store bought frozen corn or select a scalloped corn recipe to serve with this meal. These rolled dumplings are tender but have a bite to them just like homemade noodles. 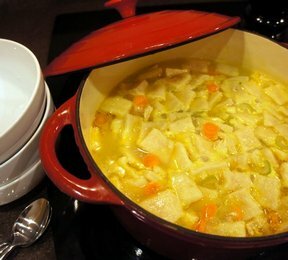 This soup is perfect to make anyone feel better, sick or not. 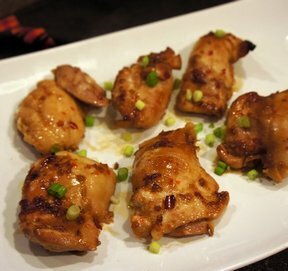 A simple and cheap dinner that your kids will love. It's a classic and quick to whip up. Perfect for the weeknight. 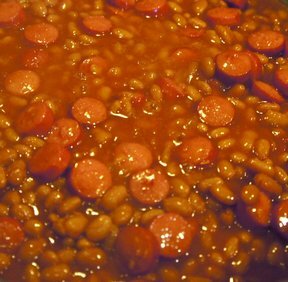 You may think the Beanie Wienies dish is too simple but give it a try. You will be surprised how much your family will enjoy it. 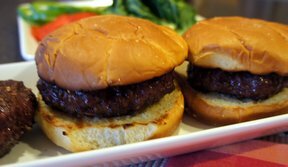 Finish it off with a root beer float and this will soon become a weeknight favorite for your family. An easy pizza crust recipe that you'll make over and over again. Mix in some whole wheat flour to make it a little healthier. You're family won't even notice the difference. 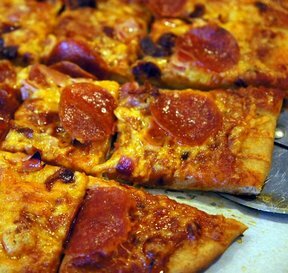 The Simple Marinara Sauce makes a great pizza sauce on the homemade pizza crust. Add cheese and all your favorite toppings for a pizza you and your family will love. 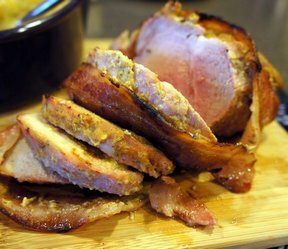 Seasoned with the sweet and tart mustard, this pork roast stays moist from the bacon. Your family will enjoy every bite of this delicious meat.